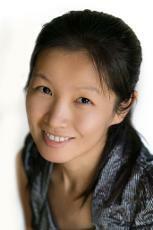 Jewel has over 10 years of interpreting and translating experience in both China and Australia. She has provided consecutive and simultaneous interpreting services to clients in a wide range of industries, as well as accompanied clients on interstate and overseas trips. 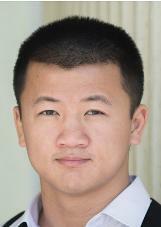 Yuxin has a background in Mandarin and English tutoring. She has gained a wide range of experience in legal, medical and conference interpreting. She is experienced with project management and graphic design, coordinating delivery of print-ready translations to our clients. Michael is a management consultant, with experience in asset management, operations and technical services across several industry sectors. He is a former aerospace design engineer, having worked for large commercial organisations in the civil and defence aviation industry, with expertise in program management, engineering and data analysis. Shixin worked as a teacher in China for several years before moving to Australia. She has experience in interpreting for government agencies in both China and Australia, specialising in education and agriculture. Gubby has worked as an interpreter and translator in both China and Australia for over 7 years and was previously the editor of a Chinese educational publisher in Fuzhou, China. She has extensive industry experience and has also worked as a project and event coordinator. Chrissie has over 8 years of experience in translations, joining Translation Express in 2011 prior to obtaining her PhD in environmental engineering. She specialises in technical translations for agricultural, engineering, legal and mining sectors.